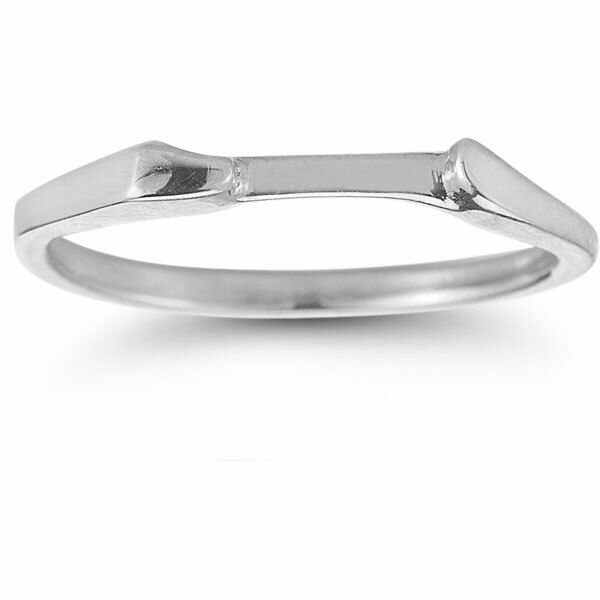 The thoughtful elements that went into this bridal ring set from Apples of Gold are perfect for any bride. 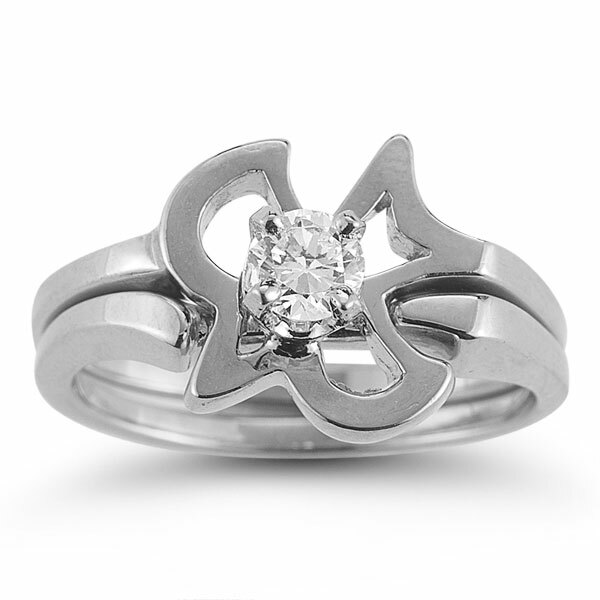 An attractive design is centered on the silhouette of a Christian dove that is simple and graceful all at once. 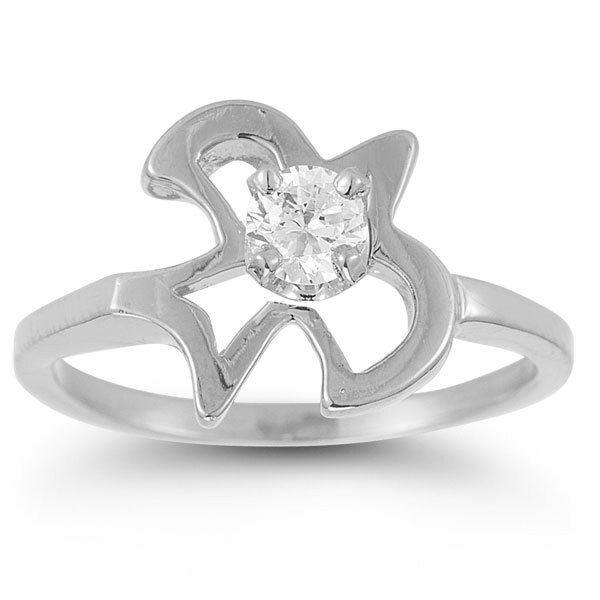 The center of the dove features a brilliant cubic zirconia stone that is round cut for a classic style. 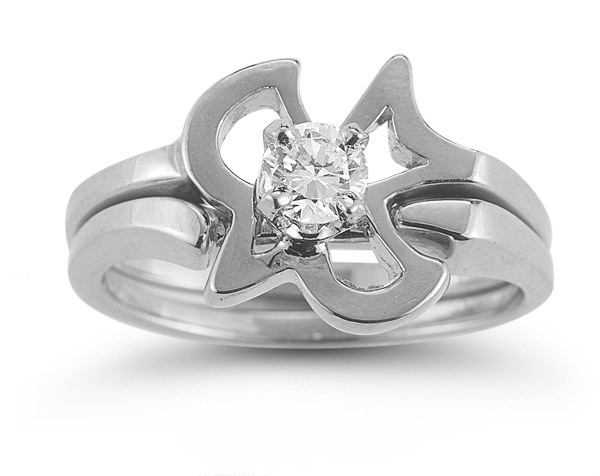 The dove and two bands are forged of modern 14K white gold to make this unique design a truly memorable ring set. Apples of Gold Jewelry guarantees the Christian Dove CZ Engagement Bridal Wedding Ring Set in 14K White Gold to be of high quality and an authentic engagement ring with real diamonds, as described above.